The past year saw a devastating tsunami hit Japan, the Arab Spring uprisings overturn governments in the Middle East, a grand marriage for Will and Kate, the celebrated deaths of Osama Bin Laden and Kim Jong-il, mourning for the deaths of Steve Jobs and Jack Layton, and unprecedented rioting in Vancouver (over hockey) and in cities throughout England (over youth unemployment). The economy continued to sputter, consumers and corporations held their collective breath, governments began trimming budgets in the aftermath of unprecedented financial stimulus packages, and the European Union teetered on the brink of financial chaos. By comparison, the world of higher education was an island of relative calm – but compared to the preceding 800 years, colleges and universities are facing more and more upheaval and uncertainty. Institutions face pressure to cut costs, improve quality and learning outcomes, transform library and classroom technology, connect curriculum to work and volunteer experiences, attract more students from the GTA, Calgary and Vancouver to less populous regions of the country, and increase the internationalization of research, recruitment, student exchanges and partnerships. Provincial governments across Canada have been cutting budgets, or holding PSE funding steady (meaning a 3% budget cut in real terms, when collective agreements are factored in), and generally restraining tuition increases for the appearance of accessibility. Academica’s Top Ten covered about 2,500 stories last year. Here’s a quick overview of the most important news stories of the year affecting the Canadian higher ed sector, which we think will have lasting effects. In March 2011, the Quebec government announced the implementation of a 6-year Quebec University Funding Plan. As of fall 2012, and for each of the following 4 years, annual tuition fees will increase by $325. The plan drew mixed reaction from institutions, professors, and students, the latter of whom heldprotests on the policy and countered the province’s justification for the fee increases. McGill University principal Heather Munroe-Blum ordered an internal investigation into students clashing with riot police in a standoff on campus, where students concluded a tuition-fee protest by occupying McGill’s administration building. Students and staff criticized the institution for its handling of the standoff. Before the release of thereport of the investigation, conducted by the dean of law, McGill faculty questioned its legitimacy. In August 2011, the Quebec government and McGill University reached a deal allowing the institution to charge tuition fees for its MBA program that are 9 times higher than the provincial limit. The government’s decision took into account modifications McGill made to the program, such as a mandatory study trip abroad and other measures to ensure all students have an international education experience during the program. The province had fined McGill $2 million for breaking government rules when the university introduced a self-funded model for the program. In February 2011, Eminata Group’s University Canada West announced that it would close its degree division in Victoria, which had been struggling with no more than two dozen students enrolled, while its Vancouver campus was thriving with more than 500 students. In March, the University of Phoenix completed the closing of its campuses in BC and Alberta, and its Meritus University campus in Fredericton. In July, Sprott-Shaw Community College announced it would close its Duncan and Courtney campuses in September after losing eligibility for provincial student aid, and its Vernon campus because of low enrolment. Camrose Alberta’s Gardner College, founded in 1933 as the Alberta Bible Institute, also announced it would close permanents in the fall, because of rising debt and fewer than 20 enrolled students. Most of the growth in university enrolments in recent years has occurred in professional schools, so little wonder that Canadian institutions have been opening new professional schools and graduate programs in response to demand. In May, the government of Ontario committed $21 million to the new Northern Ontario School of Architecture at Laurentian University, and in July the province gave the green light to Lakehead University’s new Law School, to open in 2013. In September, Thompson Rivers University cut the ribbon on its new Faculty of Law, Canada’s first new law school in 33 years. In November, York University announced a $25-million donation from mining magnate Pierre Lassonde, on top of $50 million from the province, to establish the new Lassonde School of Engineering. In April 2008, it was BC Premier Gordon Campbell who created five new universities in a week, by granting full university status to several former colleges. In June 2011, it was the government of Manitoba that upgraded the status of two institutions. Providence College, a Christian institution based in Otterburne, wasrenamed Providence University College, and Collège universitaire de Saint-Boniface was renamed Université de Saint-Boniface. 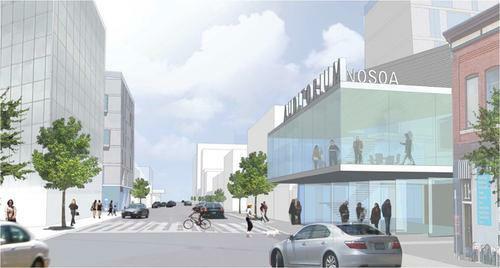 In May 2011, Nova Scotia’s agriculture minister announced that the province would begin formal discussions on a merger between Dalhousie University and Nova Scotia Agricultural College. Dal provided an update on the proposed merger in November. Released in December, a report commissioned by the Nova Scotia government recommended that NSCAD University explore collaborations with other PSE institutions as it establishes a plan to become sustainable. 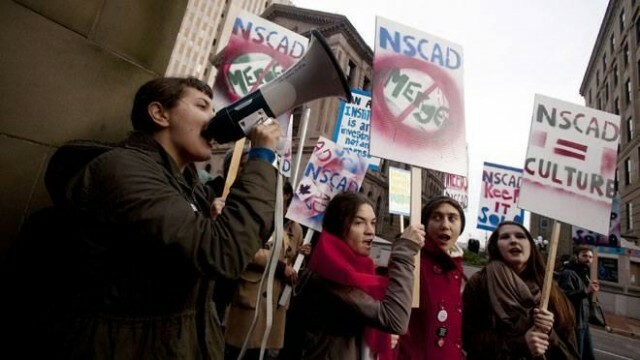 NSCAD must submit its financial plan to the government by March 31 2012. The province gave the university a one-time $2.4-million investment to address its growing deficit. “Friends of NSCAD” drummed up support to keep the institution intact and independent. The Canadian Association of University Teachers criticized the Nova Scotia government over its review process for NSCAD. The biggest philanthropic announcement of the year was the launch in October 2011 of a $100-million scholarship program, thanks to a donation by mining magnate Seymour Schulich. The Schulich Leader Scholarships will be awarded to Canadian and Israeli students pursuing STEM subjects (Science, Technology, Engineering and Mathematics). In February, a $22-million donation from a real estate developer resulted in the renaming of Simon Fraser University’s business school the Beedie School of Business. Also in February, the University of Toronto Mississauga acknowledged a $12-million gift by naming the Terrence Donnelly Health Sciences Complex. In November, a $10-million donation to Laurentian University sparked the christening of the Bharti School of Engineering. 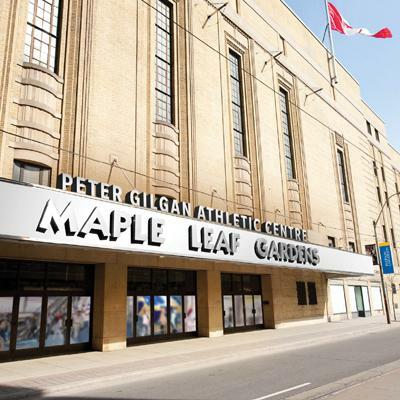 Other major gifts of $15 million each were announced last year by the UBC Faculty of Medicine, theUniversity of Alberta APPLE Schools program, Dalhousie University’s Business School, and Ryerson University’s new Peter Gilgan Athletic Centre. In July, lawyer and investment manager Peter Allard donated$11.86 million to the UBC Faculty of Law, which will name its new learning facility Allard Hall. Increased scrutiny has led to plenty of scandals and investigations on Canadian campuses, although little to compare to the multi-million-dollar child-molestation scandal at Penn State University, which led to a drop in merchandise sales and donors being scared away. In March 2011, the government of Saskatchewan called off a merger of Carlton Trail Regional College and St. Peter’s College pending a review of the institutions’ governance and leadership. The CEO of both institutions was fired, CTRC’s board was dissolved, and SPC was placed on probation. A review by Saskatchewan’s ministry of justice into the failed merger found no evidence to warrant criminal prosecution. In June, Concordia University released the report of its External Governance Review Committee, sparked by Judith Woodsworth’s sudden departure from her position as president in December 2010. Recommendations included shrinking and rebalancing the board of governors, with strict term limits on appointments. In September, Toronto Police were investigating several former York University employees for a $1.2 million fraud committed between 2007 and 2010. At year-end, BC’s RCMP were still investigating a series of off-campus arsons and shootings affecting about 13 people connected to the Justice Institute of BC. In February 2011, an earthquake flattened buildings in Christchurch New Zealand, killing students from across Asia and resulting in the temporary closure of the University of Canterbury and Lincoln University. In March, in the wake of the tsunami and radioactive fallout, Japanese universities delayed the start of their school year and worried about the long-term impacts on international recruitment of students and faculty. In April, York University student Qian Liu was shot in her off-campus apartment, while Skyping a friend in China. 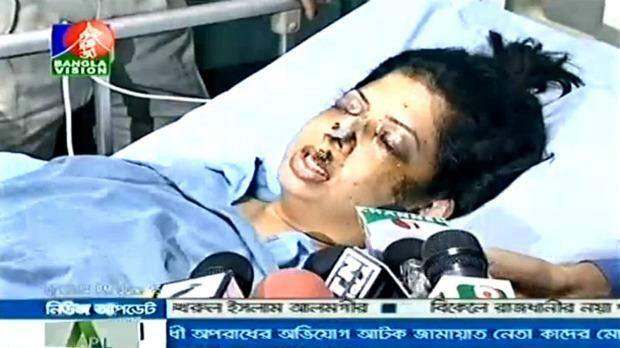 In June, the world was shocked at the blinding and disfigurement of UBC student Rumana Monzur, who was attacked by her husband during a trip home to Bangladesh. In September, a first-year student at Acadia University died after binge drinking games in his residence hall, and an SFU student, Maple Batalia, was shot and killed in a shopping mall parkade adjacent to campus. In mid-December, just before the start of exams, Virginia Tech suffered another shooting crisis when a gunman shot and killed a campus police officer and himself. 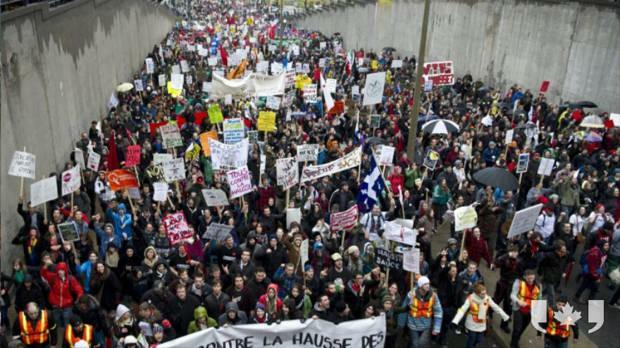 Facing a tough economy, growing enrolments, capped tuitions and declining government funding, Canadian colleges and universities have little choice but hard bargaining with their staff and faculty associations – and inevitably, that means strikes and threats of strikes. In 2011 we saw strikes at McMaster University (food services), Vancouver Island University (faculty), Ontario colleges (support staff), SIAST(academic and professional services staff), Université de Sherbrooke (support staff), University of Western Ontario (librarians and archivists), McGill University (non-academic staff), and Brandon University (faculty). In the spring, Langara College faculty held a walkout and study session, and withheld students’ grades to protest deadlocked salary negotiations with college administrators. In July, medical residents in Quebecsuspended teaching duties in hospitals out of frustration with the pace of contract negotiations. As part of the BC Teachers’ Federation’s job action, teachers were not producing report cards, so school districts and teachers made provisions for Grade 12 students who needed their grades in order to apply for post-secondary admission and scholarships. In September, Concordia University trades employees held a one-day strike. Although they did not result in labour action, there were also approved strike mandates at the University of Windsor (a pair of support staff unions, faculty), University of Manitoba (support staff, TAs), Algoma University (support staff), Brock University (part-time instructors, TAs), University of Winnipeg (faculty), Queen’s University (faculty, staff), University of Guelph (non-teaching staff), University of Ontario Institute of Technology (faculty), NSCAD University (support staff), and University of Toronto (TAs). Did we miss the highlight of your year? What other MAJOR news events, good or bad, took place in 2011? Please add your thoughts in comments below!